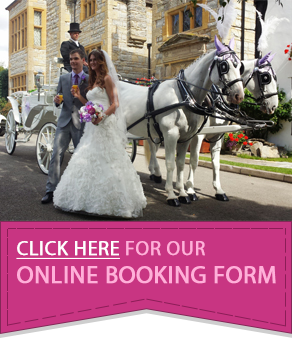 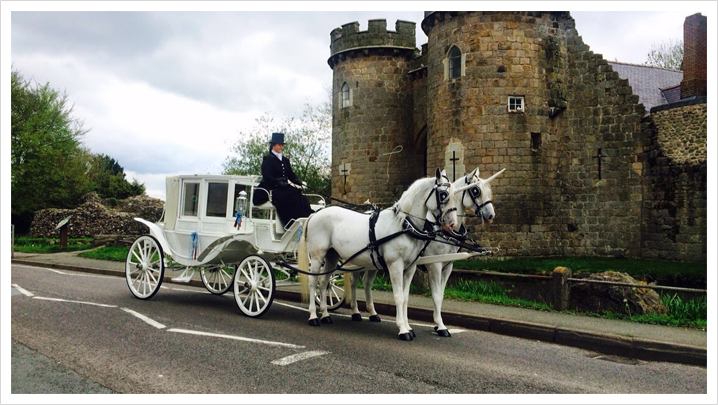 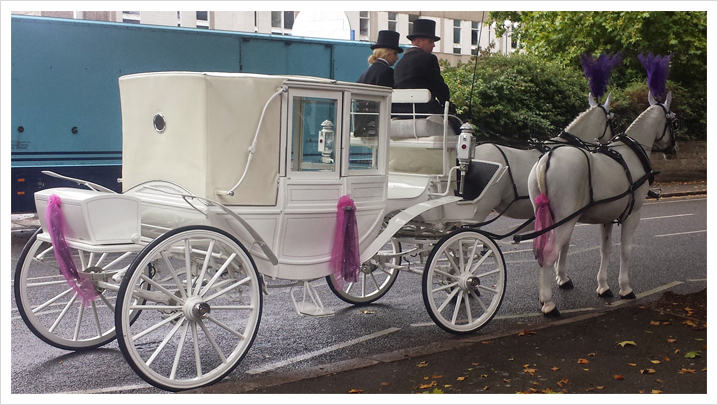 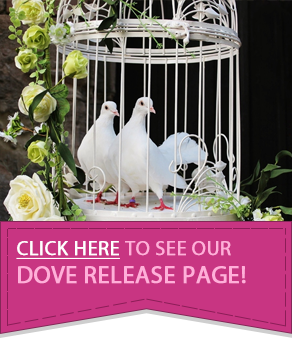 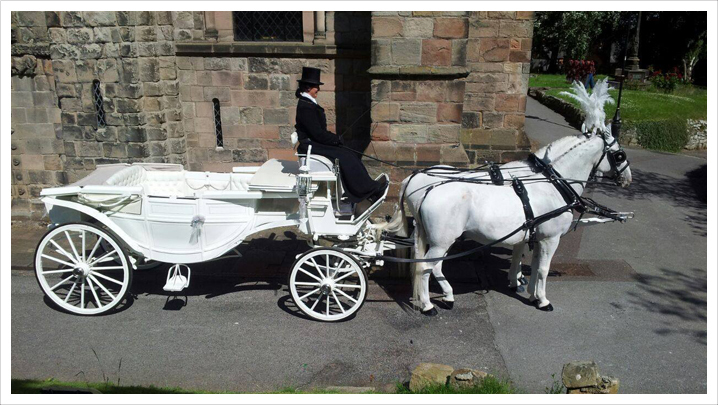 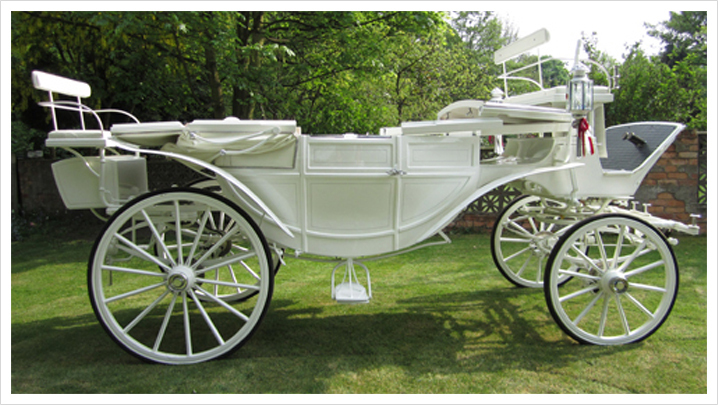 Our White Landau Carriage is one of the most traditional horse drawn carriages that we offer. 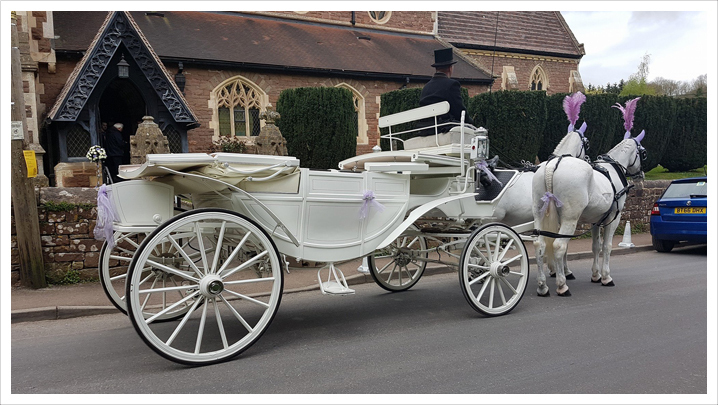 Used with a choice of black of white horses, the carriage can be dressed with ribbons to match the plumes and drapes worn by our horses. 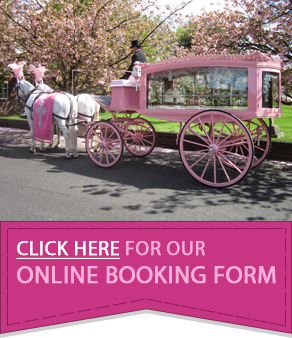 We have a wide choice of colours to choose from to meet your needs. 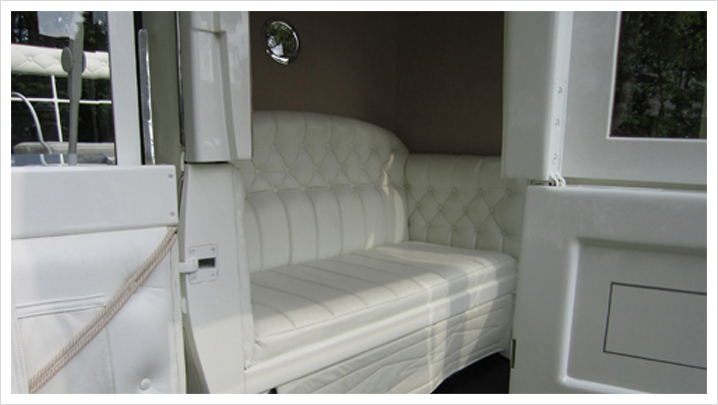 Whilst the carriage is glass fronted and is fully enclosed, the roof can be folded down and the glass lowered to create a complete, open top experience. 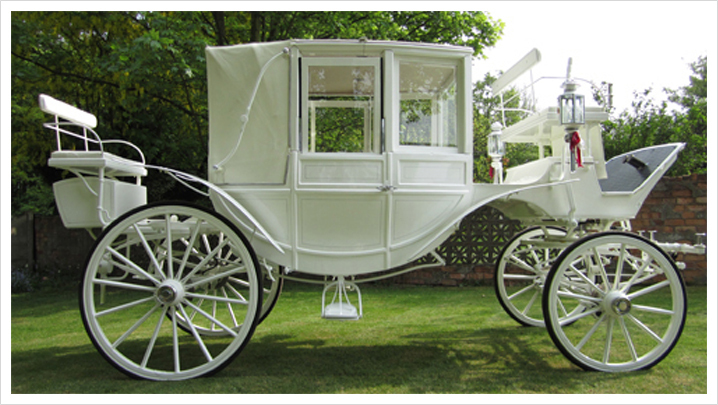 Due to its versatility, our white landau carriage can be used in all weather conditions.